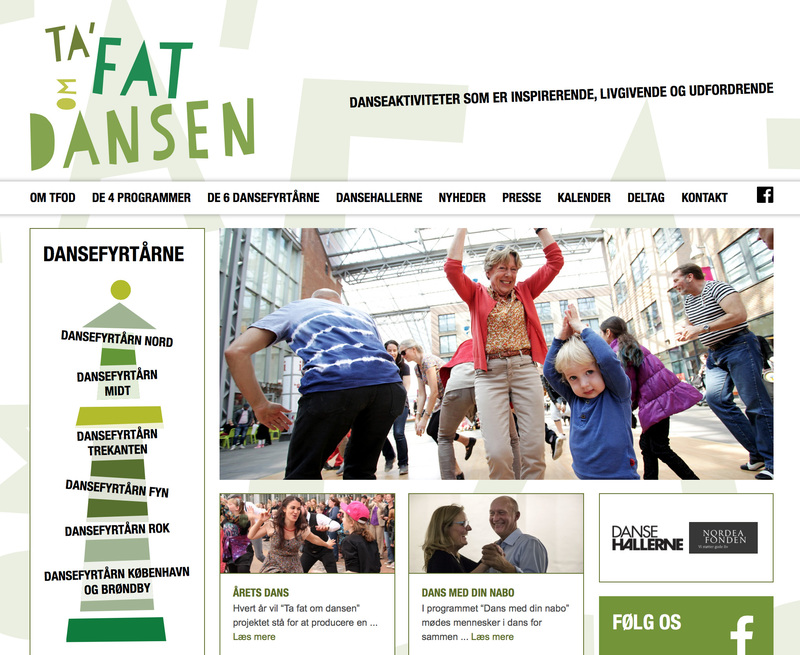 A new, very interesting and quite huge dance project has just started in Denmark; Ta’ fat om dansen (“Grasp the dance“). 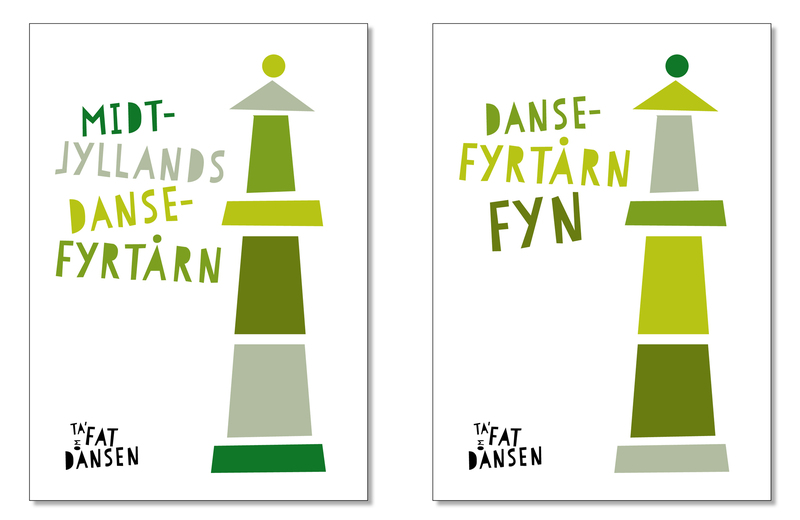 Ta’ fat om dansen is a three-year nationwide dance project that offers inspiring and life giving dance activities for all. 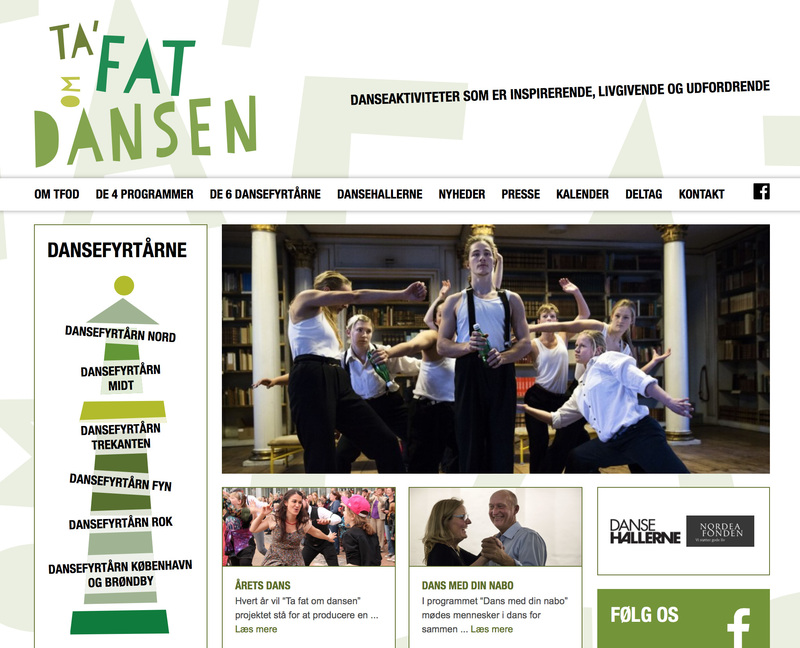 The project will reach out to thousands of people across Denmark and is the largest dance project of its kind in Denmark ever. 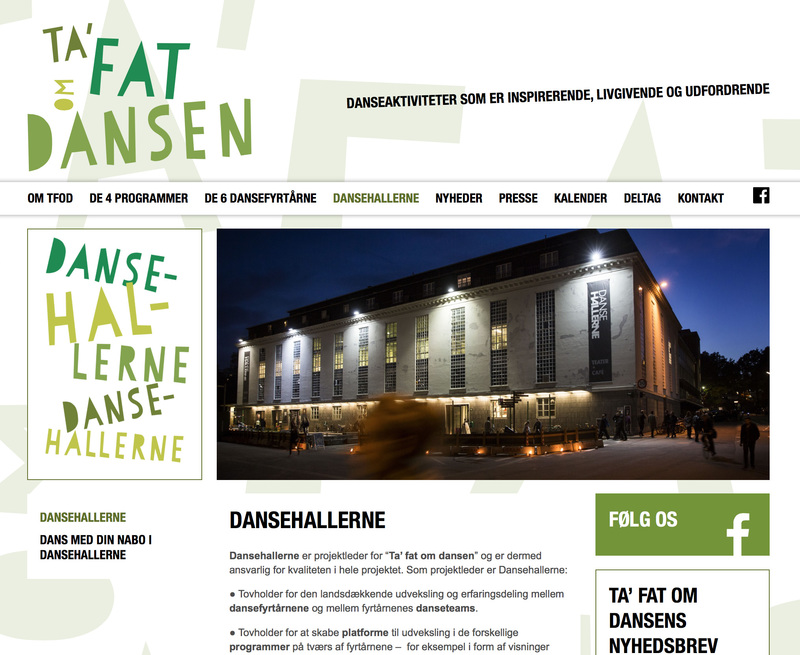 We got the honor and pleasure to design the logo, the visual identity and the webpage for the project – finished our part of the job during November and December last year, and right now in these days the website are being launched. We are very happy about the result of our work, so is the people behind the project. Thank you!